Last December, eight students graduated from Chacocente Christian School. During my trip there in February, I was able to speak with four of them, Jossimar, Henry, Kevin and Saymor. Jossimar, who placed second nationally in July of 2015 in the “Reciting Dario” competition, passed her college entrance exam and is now enrolled in the Universidad Nacional Autónoma de Nicaragua (UNAN) Managua. She is studying Communications in Development and hopes to work for an NGO or other social program for the improvement of Nicaragua. She liked Chacocente Christian School because it offered her the opportunity, through poetry competitions, dance, and music, to overcome her shyness and fears. She expressed the sentiment, echoed by others, that the teachers listened to the students, related well to them, and helped them to understand the lessons. She also appreciated the small class sizes at the school. 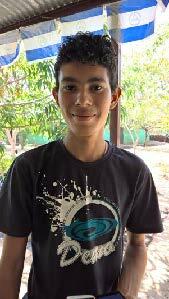 Henry (pictured above) is also studying at a university, the Universidad Centroamericana (UCA) de Nicaragua. He is studying civil engineering, a degree that will take him five years to complete. He also said he liked Chacocente Christian School, and said it was easy to learn there. Kevin and Saymor would like to go to university, but currently do not have the money for the entrance exam and are working to help out their families. Kevin is working in family construction work as well as helping his mom at home. He would like to be a translator. Saymor dreams of a career in computer science and is currently working in agriculture. We are very proud of the devotion and expertise of all of our teachers. Aiming to provide academic opportunities far above those available at state-run schools, we hire only qualified, capable teachers. 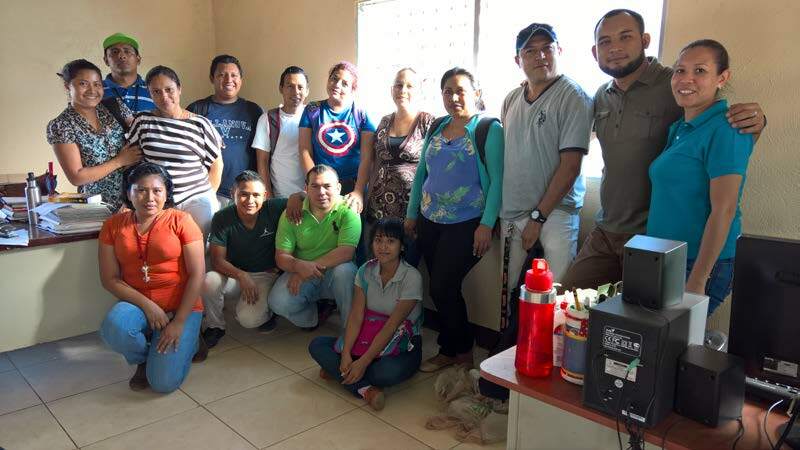 We recognize that most teachers in Nicaragua are grossly underpaid (often earning less than sweat shop workers), and we are committed to fairly compensating our employees. We’re hoping you will help us! Please consider sponsoring a teacher. Your $500 monthly sponsorship (or $6,000 annually) will better the lives of not only the teacher but also the lives of his or her students. Join together with friends and churches to truly make a lasting effect. Several young people and adults at Project Chacocente are interested in furthering their education, through advanced English classes, and we want to help them! Education will increase their self-esteem and job marketability. Can you help? Partial scholarships, as well as full scholarships, are greatly appreciated. A full scholarship for students studying English at the University of Central America is $65 a month and covers the cost of tuition and assists with the cost of transportation to the university in Managua. If interested, please email projectchacocente@gmail.com or call Robyn at 585-752-9070. Thank you for your continued support of Chacocente Christian School. Remember to always label any donations with the child’s name and payment period on the memo line for sponsorships or whatever the donation is to be used for. For example, teacher salaries, school lunches, sponsorship fees, or the general budget, or you may wish to include a note explaining your donation. Project Chacocente USA is a 501 (c) (3) tax-exempt organization. Donations may be sent to Project Chacocente, USA, P.O. Box 128, Lexington, Massachusetts, 02420. If you are making payments through PayPal, note that PayPal charges a fee for using their service. If you are able, please add 2½% to your donation to cover this fee.